Oregon Attorney General Ellen Rosenblum today sued Purdue Pharma, the maker of OxyContin, for falsely and deceptively marketing its opioid drug in Oregon. The complaint alleges that Purdue deceptively marketed OxyContin to Oregon seniors, misrepresented the risks and benefits of the drug, and lied to the Oregon Board of Pharmacy, all to maximize Purdue’s profits. It states that over the last decade Purdue has engaged in a pattern of racketeering and misleading activity in Oregon. The complaint, filed in Multnomah Circuit Court, details how Purdue’s conduct violated an agreed upon stipulated 2007 Oregon judgment resulting from an earlier investigation of its unlawful practices, as well as four distinct Oregon laws: The Unlawful Trade Practices Act, the Elderly Persons and Persons with Disabilities Abuse Prevention Act, the False Claims Act and the Oregon Racketeer Influenced and Corrupt Organizations Act. Among the many vulnerable people that Purdue targeted in their marketing were older Oregonians, and doctors who would prescribe to seniors. Despite research that showed seniors are not good candidates for opioids, the number of opioid prescriptions issued to Oregonians over the age of 65 increased between 2012 and 2016. “Purdue knew or should have known that the use of opioids among the elderly increased their risk of falls and bone fractures…Purdue also knew or should have known that use of its opioids increased elderly patients’ overall risk of death,” reads page 15-16 of the complaint. The complaint also alleges that starting in 2008, Purdue submitted renewal applications for its manufacturer controlled substance registration with the Pharmacy Board. The form contained the question: “Have you had any state or federal disciplinary action or have any action pending by any jurisdiction?” And, Purdue falsely answered “no”, even though they had just been sued by the Oregon Attorney General and charged criminally by the federal government. The complaint also alleges that in violation of the 2007 judgment, Purdue knowingly and intentionally facilitated over-prescribing of opioids in Oregon, failed to alert state and federal officials to suspicious orders of opioids, and failed to cease promoting its opioids to over-prescribers. 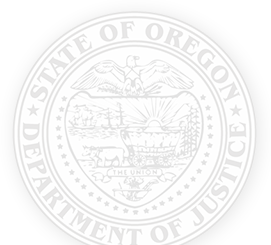 As a result of Oregon’s role leading major investigations and settlements with pharmaceutical companies, the Oregon Department of Justice has released nearly $4 million dollars from prescription drug case settlements to fight the opioid epidemic. The latest of these grants, announced today, is a $760,000 grant to Oregon Health & Science University (OHSU) to fund a curated library of evidence-based best practices to prevent and treat opioid misuse disorder. Other local grants went to improve maternal child health for patients with opioid misuse disorder, increase the number of Oregon prescribers available for medically assisted treatment of opioid use disorder, and improve rates of prescribing of opioids in Oregon. In addition, the National Association of Attorneys General (NAAG) received a grant to fund conferences and trainings related to the opioid epidemic, create consumer education materials and fund two studies relating to opioid related physician prosecutions. In 2015, Oregon also funded $567,000 in grants to combat opioid abuse in Oregon from its settlement with the pharmaceutical company, Insys. The OHSU and NAAG grants are administered by the Oregon Department of Justice and came from money held in trust by Oregon on behalf of all 50 states from the Oregon led 2004 settlement with the pharmaceutical company, Warner Lambert/ Pfizer in connection with the pain pill Neurontin.